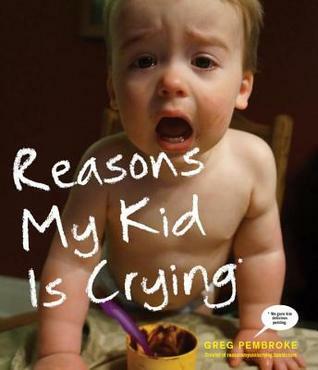 When I received Reasons My Kid Is Crying by Greg Pembroke, I knew I was in for a great read. And I was right. For much of the book, I was in tears prompted by laughter! Oh, who am I kidding? They’re all my favorites! I’m not a parent, but I have spent my fair share of time with and around children, often babysitting when I was younger. I know firsthand how these tantrums erupt over the smallest of things . . . and how difficult it can be to not stand and laugh at the crying child. Reasons My Kid Is Crying features photos and captions from not only the author, but from dozens of contributors to the Tumblr blog from the world over. It’s a quick read, but one that’s perfect to have on hand for those days when you really need a good belly laugh!